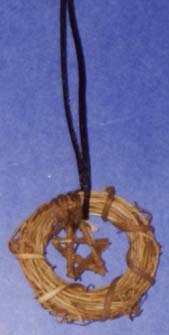 This grapevine Pentacle is HandMade. The grapevine star is sewed onto the small grapevine wreath. Comes with an 18" black satin cord.